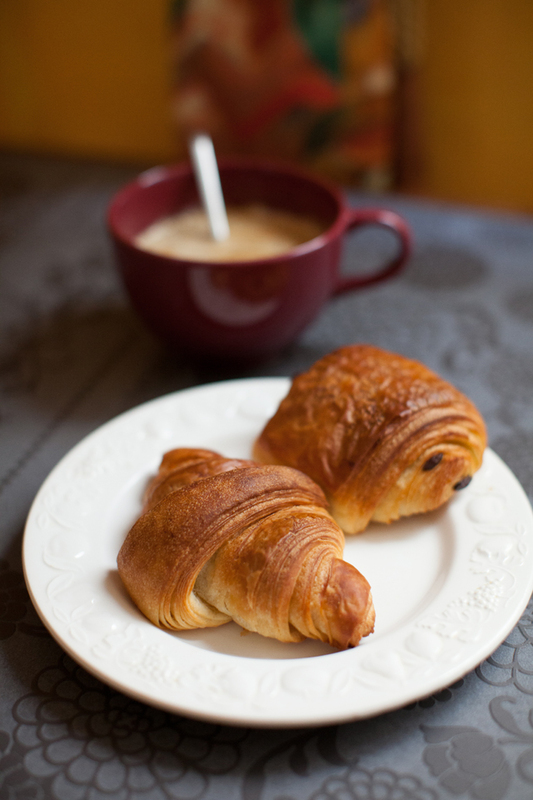 When in Paris, it is perfectly acceptable to have a pain de chocolat, a croissant, and a huge latte for breakfast. 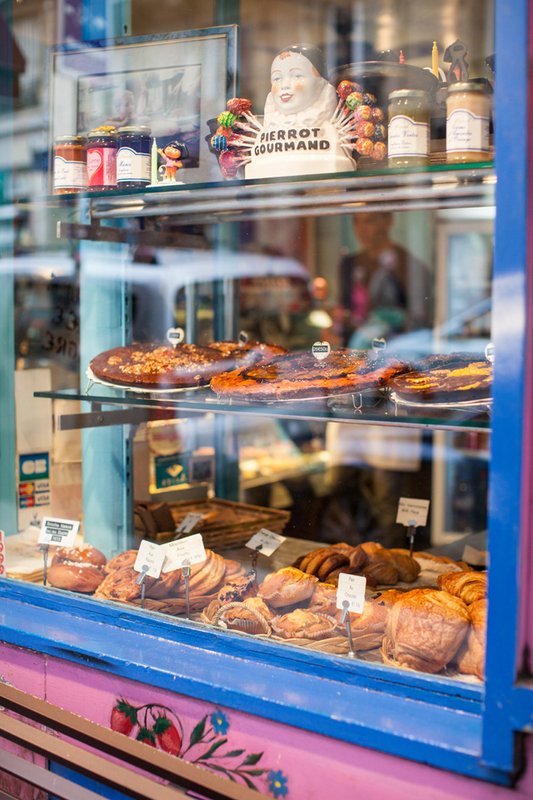 You will need the massive sugar rush to wander the hills of Montmartre, especially if you make the mistake of exiting the Metro at Abbesses. There are over 200 winding steps to exit this station, which is 188 feet below ground. Yes, there is a lift, but why make it easy on yourself? Once you have finally emerged from the Metro, you will find one of only two original glass covered Guimard entrances remaining in Paris. It’s lovely, but you have earned a bakery visit, so I highly recommend you find your way to rue Lepic. 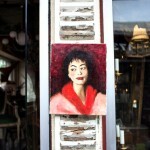 Les Petits Mitrons is tiny, and if not for the charming murals painted on the exterior, would be easy to miss. There is no seating available, which makes it acceptable to order several things to take away. 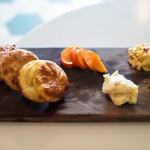 Thus, you can enjoy the decadence of a two pastry breakfast without judgment.